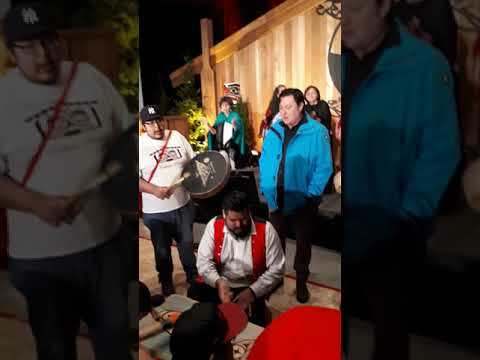 As the SNC Lavalin scandal continues to unfold for the country to watch, the Nuu-chah-nulth Tribal Council is denouncing the federal Liberals on the day after two MPs were ousted from the ruling party. NTC President Judith Sayers noted that this development brings uncertainty to the Liberals’ ability to follow through on its pledges to First Nations, including following the United Nations Declaration on the Rights of Indigenous Peoples and the Truth and Reconciliation Commission’s Call to Action. “Trudeau already has a poor track record of keeping his promises to Indigenous peoples and this deteriorates further any belief that he will do what he says,” stated Sayers. Wilson-Raybould, who is a member of the We Wai Kai Nation, has attracted national attention for nearly two months since news broke that while she was Canada’s attorney general and minister of justice the Prime Minister’s Office pressured her to seek a better arrangement for a Quebec-based company facing millions in bribery charges. As the engineering giant SNC Lavalin threated to relocate to another country if convicted, Wilson-Raybould testified that top bureaucrats and the Prime Minister himself subjected her to months of pressure to intervene in the judicial process and grant a deferred prosecution agreement to the company. This would entail an admission of wrongdoing from SNC and a substantial payment to the federal government. SNC Lavalin is accused of $48 million in bribes to Libyan government officials from 2001-11. During a cabinet shuffle in January, Wilson-Raybould was moved to be minister of Veterans Affairs. She resigned from this position in February after challenging the PMO on its handling of the SNC issue. Citing a lack of confidence in the Liberal leadership, Jane Philpott also resigned from her post as president of the Treasury Board of Canada. Philpott also formerly served as minister of Indigenous Services. With a federal election coming up in October, Wilson-Raybould had expressed her intentions to seek another term with the Liberals for the Vancouver Granville riding. On April 2 she submitted a letter to the Liberal caucus committing to the values of the party. “We committed to break old and cynical patterns of centralizing power in the hands of a few unelected staffers, the maginalization of hundreds of Members of Parliament with expertise and insights to offer, and the practice of governing in the shadows, out of sight of Canadians,” wrote Wilson-Raybould. A key telephone call with Michael Wernick, clerk of the Privy Council, was brought out of the shadows on March 29, days before the MPs’ ousting. Recorded by Wilson-Raybould without Wernick’s permission, this 17-minute conversation reveals the top bureaucrat repeatedly expressing the Prime Minister’s need to grant the deferred prosecution to SNC, which has a Canadian workforce of over 9,000. NTC Vice-President Andy Callicum said that the Prime Minister’s agenda of “corporate favouritism” and “pressuring the attorney general to circumvent the rule of law for political gain” better suits the term unconscionable. Wilson-Raybould carries the Kwakwaka’wakw name Puglas, meaning woman born to noble people. In her letter to the Liberal caucus she described how her upbringing helped to inform her principles.